When I think of comfort food. I think of Chicken and Rice. It was one of my mom’s go to meals and so I can’t help but get a little nostalgic when I taste it. My kids and husband love it so I have been able to have fun with it in the next generation. It is a very easy meal, with very little prep so it is perfect for a busy night. Microwave for 30 minutes every 15 minutes turn dish unless your microwave is a turning one. Pull the chicken out of the dish and dice up. Stir the chicken back up and serve topped with a little paprika. That is almost exactly like my mom's recipe! Except she also added those frozen cubed carrots to it also. This looks so delicious! I love rice…any starch, really. haha I am pinning for later! I'd say my favorite comfort food is macaroni and beef. My Mom never made it while I was growing up and I honestly don't know where I ate it first–but I love it! Yum! This looks super easy and yummy. Thanks for sharing! This looks like such a perfect meal on a crisp fall night. I love chicken and rice! This does sound like a comforting meal. I love it when you've got awhile meal in one. That looks really good. I love that it is so fast and easy to do. 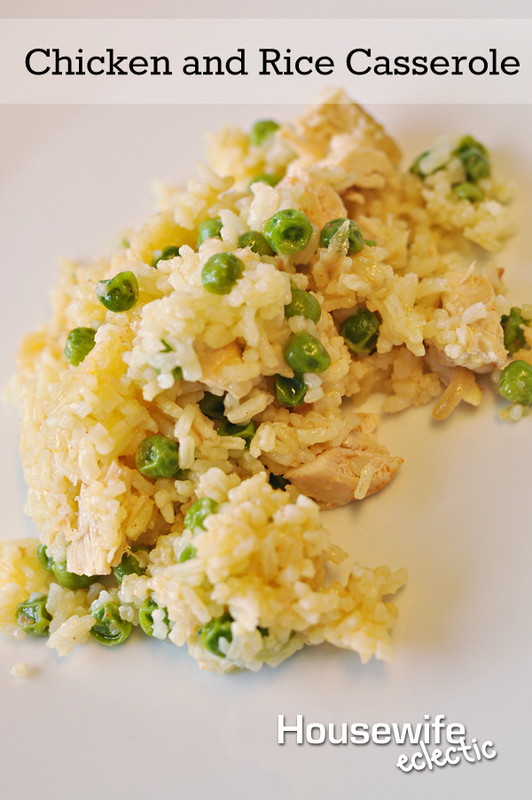 This is a far quicker version of the chicken and rice that I grew up with, but it's pretty close otherwise. I think I know what's going on my menu for next week–thanks for the memory jog! My favorite comfort foods are boiled buckwheat with butter and salt and homemade chicken noodle soup. Actually, I have so many comfort foods, I will run out of space. This looks like such an easy simple meal to make. I like chicken and rice together quite a bit. In fact, one of my comfort foods is chicken perlo. My mom makes something like this. I have tried to mimic her recipe but havent figured it out yet. You're right though, super easy! Substitute this with Quorn and this would be the perfect comfort food mmm I am salivating already! This sounds good! My mom use to make something similar when I was growing up.